Famed leaker Steve Hemmerstoffer may be back to the drawing board after a CAD-based render of the Galaxy S10+ went rogue and bezel-thick yesterday, but other tipsters are filling in with new S10 and S10+ image renders based on who-knows-what insider sources. The freshest takes on Samsung's upcoming Infinity-O design, however, comply much more with multiple screen protector leaks we've seen so far, i.e. a top bezel shaved to a minimum and non-existent side bezels, with only a bottom one to speak of. These new renders make sense, as Samsung will have plenty of leeways to shrink the top bezel if it indeed takes the drill bit (or laser) to the OLED screens in order to fit the selfie camera in the hole there. What about the Galaxy S10+ and S10 5G, though, both of which are said to arrive with dual front-facing cameras, instead of a single sensor? 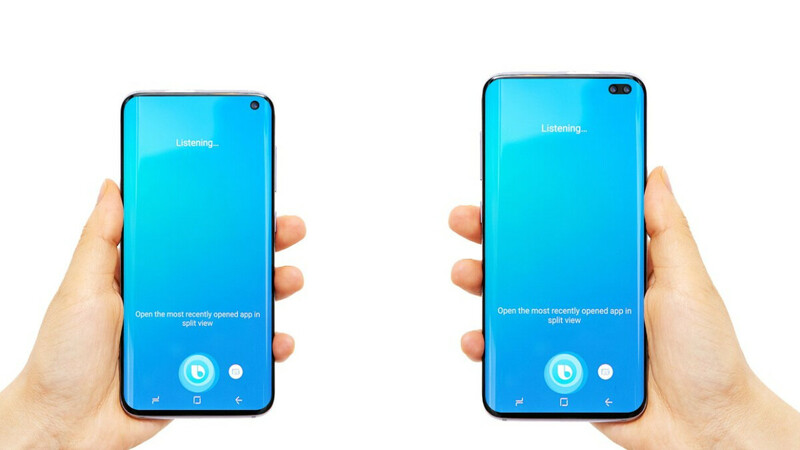 Well, as you can see from the freshly-squeezed renders and protectors, Samsung has taken a Solomonic judgment, cutting an ellipsis into the S10+ display to fit the two circles. Oh, well, to each their own, at least it is not a top-bezel protrusion, but rather a geometrical display cutout. That hole-in-display design is apparently going to be the go-to "all-screen" concept in 2019 for various manufacturers. Samsung at least skipped the whole 2018 notch brouhaha and jumped directly to drill, baby, drill. I would really take a single front-shooter than to have the pill-shaped hole. But I can't go back to a smaller screen so I might still have to go with S10+ and hope the design will grow on me. yeah it looks weired! we used to read the time, battery and signal on the right upper corner. would have been great if they placed the hole on the left corned or even in the middle! holes in the middle! isn't it how god created us?! hahaha cheers! I actually like the double camera on the front. I agree, i think i prefer the double to the single. Agreed but not quite as bad as a huge notch. Still a transitional approach though and not ideal. maybe i just like the idea of having a pop up or slide up... or what would be better is to figure out how to get it under the screen completely... i believe the sensors in my gear watch are under the middle of the display, but the camera will be harder. Pop up or slide up cameras is the perfect solution to build a true bezel less phone. I would say display on the back is a much better design choice than a pop up camera. Longevity is a concern with pop up or slide outs. still it's way better than the notch. I don't totally dislike it but, would rather have a thin bezel. Still don't understand the point of a side cut out when the center would've been more pleasing to the eye. This is gross. Ups! Suddenly the notch doesn't seem like such a bad idea... For me single, tiny drilled hole>notch>double drilled hole. You have less screen with a larger notch and is equally as distracting. How is this any worse? Just as bad maybe. I think I'll just stick with Vivo, these cutouts are getting ridiculous. These mock-up camera placements, there's an awkward feeling for me seeing the cameras at the left side. 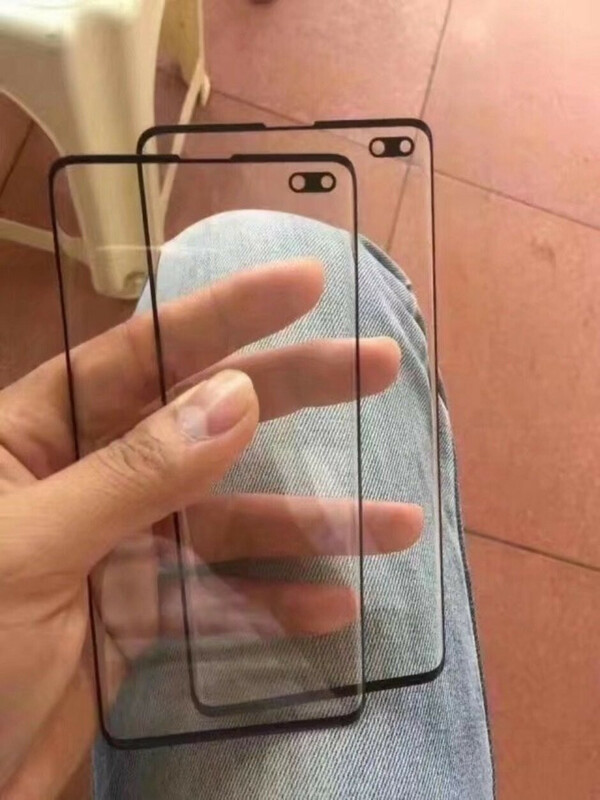 I think the holes should be at the middle or at the right side of the phone. That's an abomination of horrible phone design! My eyes would always be distracted by that hole of that size. Watch them ditch this design within a years time.. There is scary ugly notch - iphone X/XS max, pixel And there is beautiful notch - OP6T And there is not even a classification of notch - camera hole. Btw. will you please open your dictionary and search the meaning of "notch". Then after reading the meaning of notch, ask yourself what's inside your head, a fat or air? It's not a brain probably.lmao.